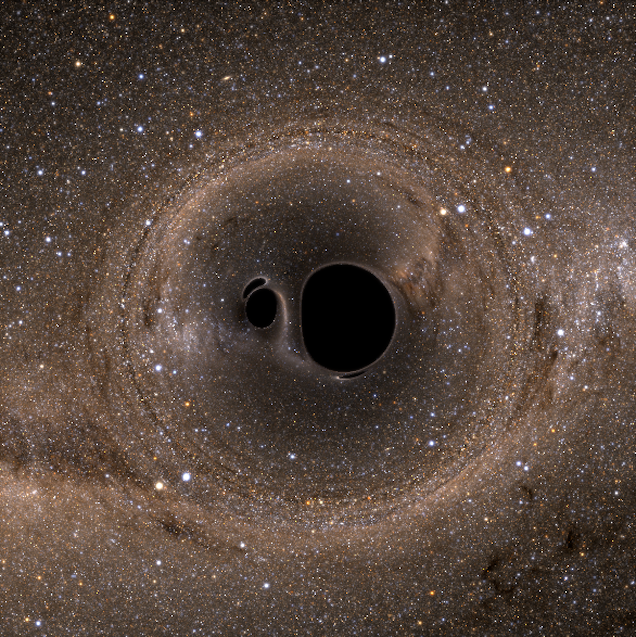 What happens to a black hole when it collides with another black hole? This new model shows you closely. The question of just what could possibly happen when two black holes come across at a very close distance is one that we've been involved with for a while. But, even still we understand a little about how the whole procedure might go down in theory as the two black holes merge, what we actually haven't identified is how it would look like. After producing a model that better accounts for the properties of gravitational lensing on the eye of the observer, the group produced the image above of two black holes merging, located near our own Galaxy Milky Way. You can also read the whole paper here.